The Thursday Keynote Address will be delivered by Manoush Zomorodi, author of Bored and Brilliant and Co-founder of Stable Genius Productions. How can we ensure that students and educators thrive in increasingly digital environments, where change is the only constant? 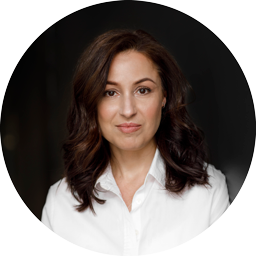 In this keynote, author and journalist Manoush Zomorodi shares her pioneering approach to researching the effects of technology on our behavior. Her unique brand of journalism includes deep-dive investigations into such timely topics as personal privacy, information overload, and the Attention Economy. These interactive multi-media experiments with tens of thousands of podcast listeners will inspire you to think creatively about how we use technology to educate and grow communities. Manoush Zomorodi is co-founder of Stable Genius Productions, a media company with a mission to help people navigate personal and global change. StableG uses podcasts as a lab to test new ways journalists can educate, entertain, and inspire through narrative. Their first project is “ZigZag,” a podcast about changing the course of capitalism, journalism, and women’s lives. In 2015, Zomorodi led tens of thousands of listeners through an experiment to help them unplug from their devices, get bored, jump-start their creativity, and change their lives. Her book Bored and Brilliant: How Spacing Out Can Unlock Your Most Productive and Creative Self builds on that experiment to demonstrate how to rethink our gadget use to live better and smarter in this new digital ecosystem. Zomorodi explains the connection between boredom and original thinking, exploring how we can harness boredom’s hidden benefits to become our most productive and creative selves without totally abandoning our gadgets in the process. Grounding the book in the neuroscience and cognitive psychology of “mind wandering,” she illuminates what our brains do when we’re doing nothing at all. Through her career, Manoush Zomorodi won numerous awards, including The Gracie in 2014 and 2018 for Best Radio Host. She is especially proud of the Webby her team won in 2018 for The Privacy Paradox. In 2017, she gave a TED Talk about surviving information overload and the “Attention Economy.” Fast Company named her one of the 100 Most Creative People in Business for 2018. Prior to her work in podcasting, Zomorodi reported and produced around the world for BBC News and Thomson Reuters.